Technology has undoubtedly become an extension of human existence; it has become the third arm of our bodies, assisting us to achieve the nearly impossible – from instructing a computer to print “Hello World” to the screen to deploying intelligent satellites and even developing reusable rockets for space travel. All these disruptive innovations were made possible when we experienced a breakthrough by instructing a piece of hardware – a computer – to perform functions such as displaying texts to screen. Now, we can communicate via applications like WhatsApp, Telegram and Facebook; be abreast with latest news with technologies like Twitter; and even find soulmates on the internet via Tinder, amongst others. All these internet applications sprung from simple ideas to connect – as we are largely social beings, hence the need to always stay connected; explore – the intrinsic desire to always know more, and to simply become better versions of ourselves. 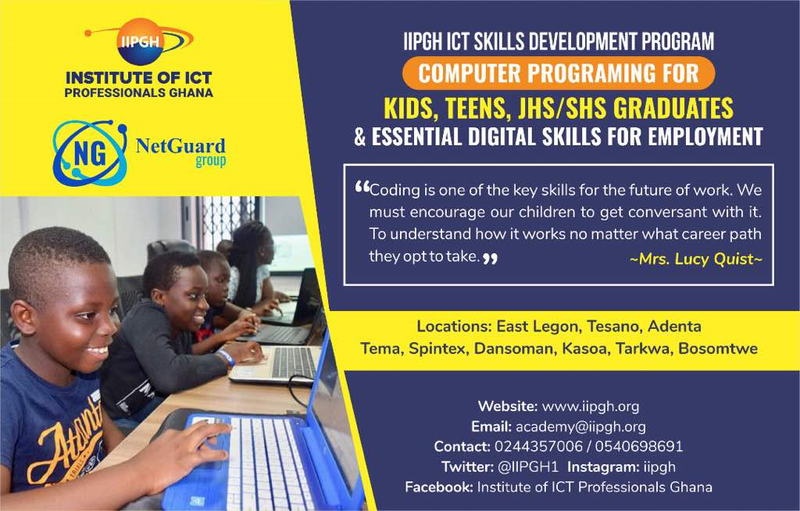 However, one of the major ways that enabled us to achieve these seemingly unimaginable ambitions, to bring into fruition these innovations, was via computer programming skills. The ability to make computers do what we want via some mode of communication – programming languages. These skills became the foundation on which these ideas were realized. Without programming, none of them would exist. None. 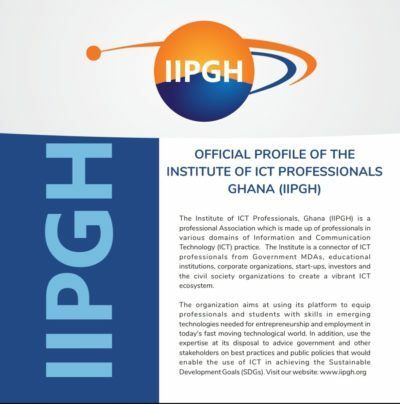 As part of IIPGH ‘s goal to promote ICT literacy in Ghana, with coding programs running at East Airport International School and St. Martins De-Pores, the institute’s ongoing preparation towards Project500 – an initiative to train 500 students and JHS/SHS, and tertiary graduates in computer programming and other digital skills – has witnessed tremendous preparations towards the kickstart of the program. 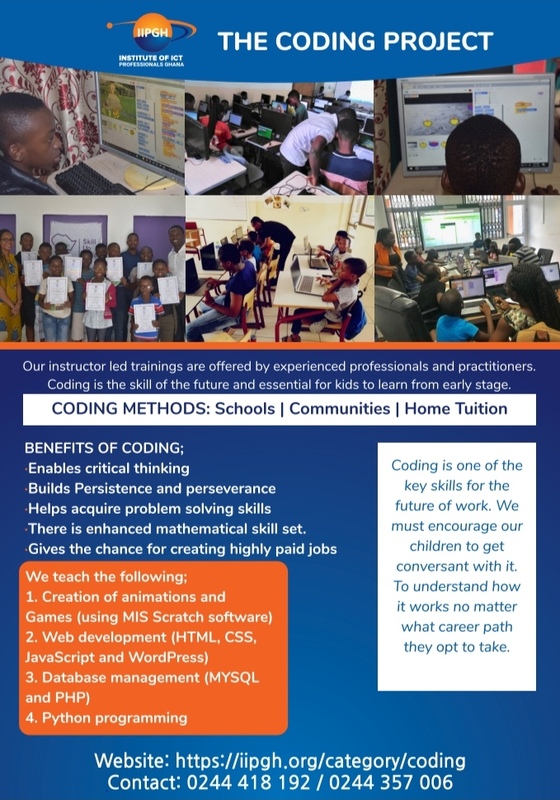 Over the past few weeks, there have been various activities such as public engagements about the program, school visits, television broadcasts and presentations from prospective tutors for the coding sessions. The institute has also run workshops on appropriate teaching methodologies and code of conduct, as well as on ethical behavior for tutors and coaches. The selection of the tutors was a very critical part of the project. As the institute prides itself in professionalism, prospective tutors went through a series of selection stages based on their area of expertise, location and availability. 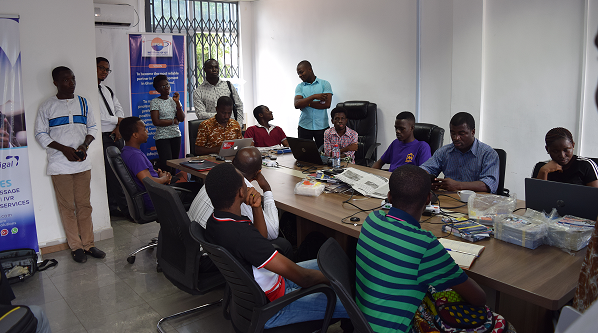 For instance, candidates were made to give presentations on their professional career or student achievements, in line of ICT. 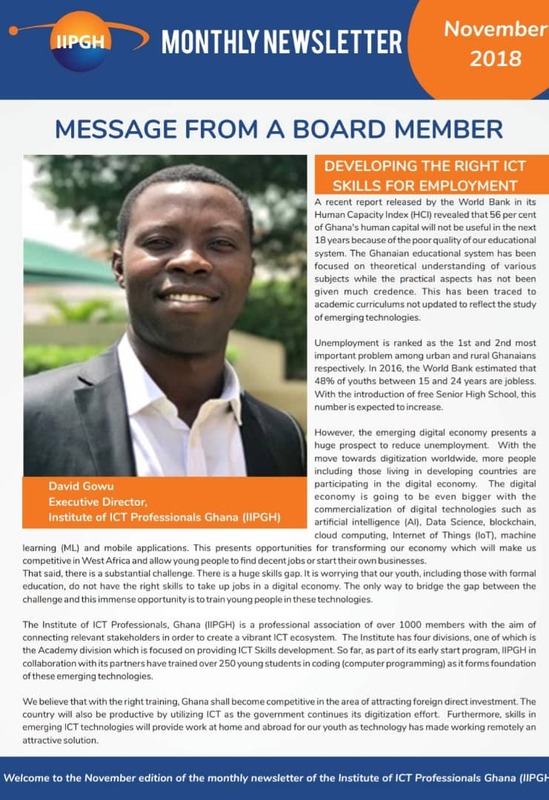 Although not all candidates had background in ICT, it was imperative to consider those who possessed good teaching skills, as evident from their presentations. Candidates were assessed based on their level of teaching skills, content presented and mode of presentation. 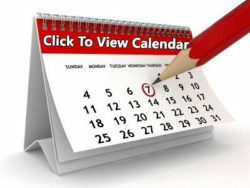 As briefly stated above, the institute run workshops as onboarding process for the prospective tutors. This was primarily organized to expose candidates to the vision and mission of the institute. The workshops also included registering candidates as professional or student members of the institute to make available the benefits of membership to them. This enabled the candidates deeply understand what the institute has set out to achieve in this country. 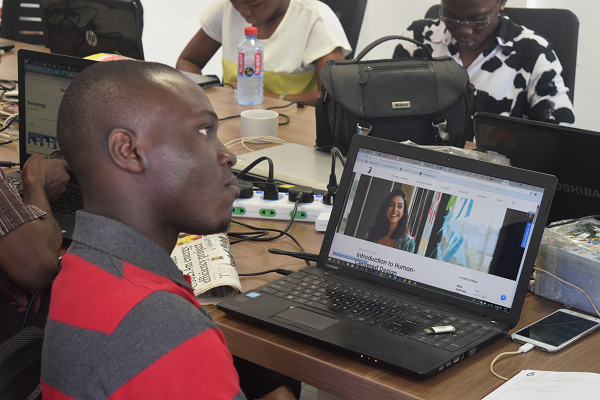 Since the project will run across 4 major cities (Accra, Takoradi, Tarkwa and Kumasi), preparations have been made to ensure consistent delivery of course content across all centers, and we do hope to reach out to as many participants as possible. This part of the world (Africa) was obviously late to join the technology bandwagon, and as such, it is imperative to do all we can to quickly develop human resource that can challenge status quo, find workable solutions to our own problems and ultimately innovate to even solve unanticipated problems.